Congratulation to Flikkema Farms for their 1st Place finish in DSM Dave Minssen's Asgrow contest, winning with Asgrow 100 Bushel per Acre. Welcome to the #Go100Club Flikkema Farms! We're close to finishing up on seed deliveries for the spring. Weather has been an issue getting seed delivered this year! We hope you've been able to get some field work done. Looking forward to a successful PLANT#19 with you! Treating Asgrow soybeans at Smith Farming Corporation in Milledgeville, Illinois is in full throttle right now! Soybean treatments include Acceleron, Ilevo, NEMASTRIKE, and TagTeam LCO Biological Inoculants. 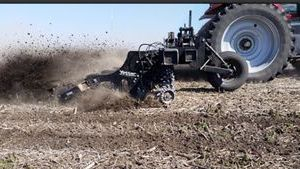 DEKALB Agronomist Jim Donnelly talks about Managing Strip-Till Corn Using Starter Fertilizer in this article. A very good read for those using strip-till management! 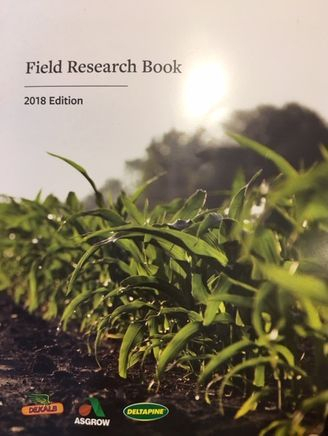 Check out the latest 2018 Edition Field Research Book for DEKALB Asgrow! We had a great time with our customers on a cold, snowy day at the Northern IL DKC, Winter Agronomy & Dicamba Training, that was held at the Mill Wheel Tavern in Milledgeville, on February 12. Pictured above is Dekalb Agronomist Jim Donnelly (standing at the far, front-right side) presenting the Dicamba training. Jim also talked about tar spot and root worm management for the upcoming 2019 growing season. A special thank you to Tom Wells and Hud Adams from Bayer who also presented training on Delaro Fungicide and Roundup Ready Xtend. We truly appreciate you all who were able to join us, and we look forward to a successful 2019 growing season with you!